Hangout Music Festival is back and blazing a trail on 2019’s melodious spree of events, as the roster of artists announced yesterday may hold to be one of the most champion lineups yet. 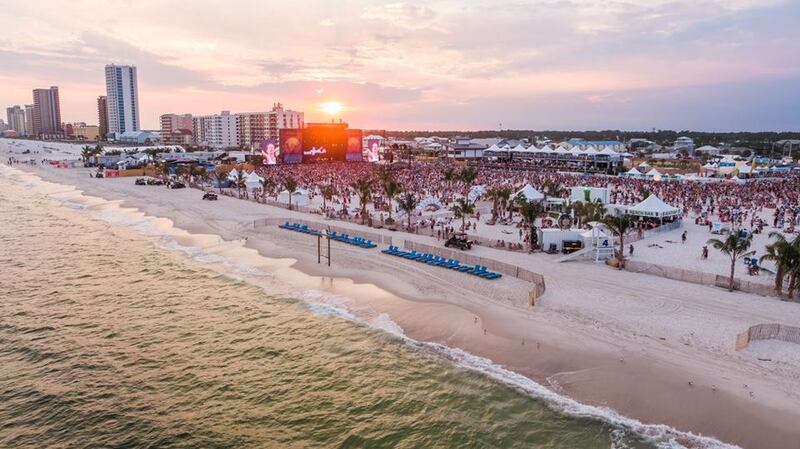 Hangout continues to be one of summer’s most adorned events, as the sunshine reigns across Alabama’s paradisiacal Gulf Shores for a weekend of pure sun, bliss, and 360-degree sonic radiance. There is truly nothing like getting together with friends amidst the ocean, sand, tropical vibes, and top-notch music spanning heaps of genres. As 2018 saw the likes of headliners from The Chainsmokers, to The Killers, to Odesza and Kendrick Lamar, 2019’s announcement literally sent shock waves across the internet, and already has fans rallying up their squads for this summertime sensation. Get ready, because headlining the stage this year from May 16th – 19th will be none other than music industry icons Kygo, The Lumineers, Travis Scott, Khalid, Cardi B, The 1975, Jimmy Eat World, and Vampire Weekend – just for starters. Hangout is nearly shaping up as too good to be true, as more leading artists from the electronic spectrum like Jonas Blue, Alison Wonderland, The Him, Loud Luxury, Diplo, Griz, and a whole lot more are without a doubt going to blow crowds away with their infinite and one-of-a-kind energy. As if this doesn’t already have fans at the edge of their seats, Hangout gets 10x better. Hozier, Judah & The Lion, Bebe Rexha, A R I Z O N A, Bazzi, Sofi Tukker, and over a dozen more are now locked in to set sail along the Gulf Shores for the next edition of an unparalleled free and easy atmosphere, soul-striking performances, and a heavenly wave of musical euphoria.